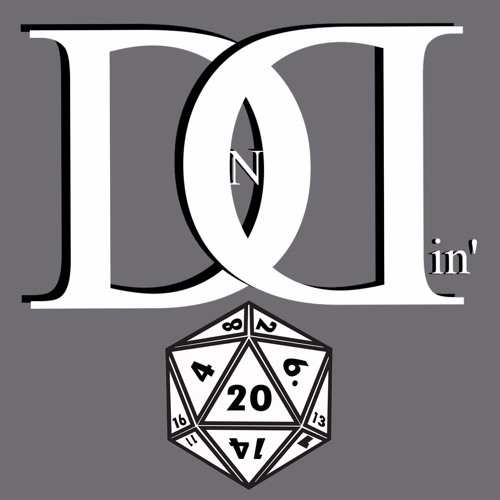 DnDin’ is a podcast where good good friends play Dungeons and Dragons 5E together. The podcast was started as a way for them all to still see each other, as they all live in different states now. It is an actual-play podcast focusing on storytelling and having fun. Episodes entitled "Light Warriors" follow the adventures of Vlad (Jonas), Gary (Tom), Derryk (Dan), and Herpty-Derpty (Eli), as they try to stop the resurrection of the goddess of destruction. Episodes entitled "Shadow Warriors" follow the adventures of Bazza (Cara), Remy (Jackie), Gem (Erin), and Willow (Richard) as they try to resurrect the goddess of destruction. The NEW CAMPAIGN will have a different structure - stay tuned for that!